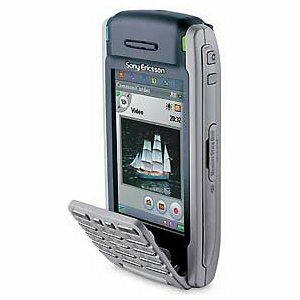 Sony Ericsson P900 Gets Blackberry Access | BlackBerry Blast! Sony Ericsson and RIM recently signed an agreement to enable Sony Ericsson's Symbian OS based phones to connect to BlackBerry Enterprise Server™ and BlackBerry Web Client™ services for enterprises and individual users. The BlackBerry services infrastructure and platform has been approved and deployed by operators around the world and thousands of companies and government organisations have already installed BlackBerry Enterprise Server behind their firewall. The combination of RIM's 'always on' connectivity and push technology that automatically delivers emails and other data to and from a wireless device, makes BlackBerry an efficient and reliable communications platform. The BlackBerry services will be able to run on the P900, while maintaining the existing P900 experience and functionality. BlackBerry connectivity support on the P900 is expected later this year. "We're delighted to be adding BlackBerry connectivity to the palette of solutions we support with our smartphones, thereby further expanding customer choice. The P900 smartphone is a multi-faceted device which offers productivity, entertainment and communications and our agreement with RIM ensures our customers a proven, market-leading mobile e-mail and data solution," says Jan Wareby, Executive Vice President and Head of Sales and Marketing of Sony Ericsson. "We are pleased to be working with Sony Ericsson to provide our end-user customers and carrier partners with greater wireless device choices while enabling IT departments to leverage their existing BlackBerry infrastructure," said Don Morrison, Chief Operating Officer at Research In Motion.